to receive a Nobel Prize. In 1891 Maria Sklodowska went to Paris and began to follow the lectures of Paul Appel, Gabriel Lippmann, and Edmond Bouty at the Sorbonne. There she met physicists who were already well known--Jean Perrin, Charles Maurain, and Aimé Cotton. Sklodowska worked far into the night in her students'-quarter garret and virtually lived on bread and butter and tea. 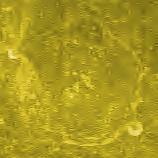 She came first in the licence of physical sciences in 1893. 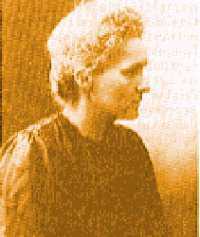 She began to work in Lippmann's research laboratory and in 1894 was placed second in the licence of mathematical sciences. It was in the spring of this year that she met Pierre Curie. Maria Sklodowska is daughter of a Polish freethinker but reared by a Catholic mother. 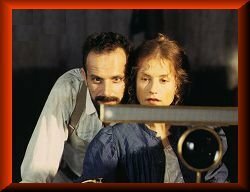 She abandoned the Church before she was 20 and her marriage with Pierre Curie was a purely civil ceremony because she says in her memoir of him, Pierre belonged to no religion and I did not practice any. On July 4, 1934, near Sallanches (France), Maria Sklodowska-Curie died of leukemia (aplastic pernicious anemia of rapid, feverish development), caused by her exposure to the radium that made her famous. In 1995 Maria Sklodowska-Curie's ashes were enshrined in the Panthéon in Paris; she was the first woman to receive this honour for her own achievements. One of Maria Sklodowska-Curie's outstanding achievements was to have understood the need to accumulate intense radioactive sources, not only for the treatment of illness but also to maintain an abundant supply for research in nuclear physics; the resultant stockpile was an unrivaled instrument until the appearance after 1930 of particle accelerators. The existence in Paris at the Radium Institute of a stock of 1.5 grams of radium in which, over a period of several years, radium D and polonium had accumulated, made a decisive contribution to the success of the experiments undertaken in the years around 1930 and in particular of those performed by Irene Curie in conjunction with Frederic Joliot, whom she had married in 1926. This work prepared the way for the discovery of the neutron by Sir James Chadwick and above all the discovery in 1934 by Irene and Frederic Joliot-Curie of artificial radioactivity. A few months after this discovery Maria Curie died as a result of leukemia caused by the action of radiation. Her contribution to physics had been immense, not only in her own work, the importance of which had been demonstrated by the award to her of two Nobel Prizes, but because of her influence on subsequent generations of nuclear physicists and chemists. Citation from The Graduate Student Cookbook: "Marie Curie: Overachiever who cooked, cleaned, discovered radium, and raised a Nobel Prize-winning daughter, but who never forgot how to make a good pierogi." One of our pleasures was to enter our workshop at night; then, all around us, we would see the luminous silhouettes of the beakers and capsules that contained our products. Over one hundred scientists from 13 countries, among them 12 Nobel prize winners (Baruch Blumberg , Paul Crutzen , Chris de Duve , Leo Esaki , Jerome Friedman , Jerome Karle , Edvard Levis , Rudolf Mossbauer , Burton Richter , Joseph Rotblat , Sherwood Rowland  and Carlo Rubbia ) and Maria Sklodowska-Curie' granddaughter Helene Langevin-Joliot are attending the conference on "The discovery of radium and polonium - scientific and philosophical consequences" which opened in Warsaw Thursday (September 17, 1998) to discuss prospects of the contemporary physics and natural sciences, global ecological threats and the responsibility of scientists for the results of their research. 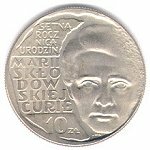 The conference is the highlight of the two-years long now celebrations of the centenary of the discovery of radium and polonium by the Polish-born researcher Maria Sklodowska-Curie. President Aleksander Kwasniewski said he would like the conference to initiate a series of annual "Warsaw meetings" of scholars with politicians and representatives of economic circles, similar to the Economic Forum held in Davos, Switzerland. 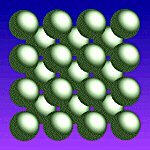 A Curie unit is defined as the activity of 1 gram of radium; 3.7 x 1010 disintegrations (that's 10 to the 10th power). 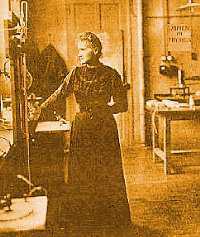 "Marie Curie and the Science of Radioactivity" is offered by the Center for History of Physics at the American Institute of Physics. The exhibit was written by Naomi Pasachoff, author of a book on Madame Curie. 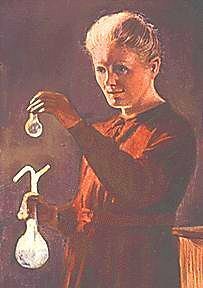 The exhibit covers every aspect of Marie Curie's career, including her turbulent youth, her entry into science and the discoveries that won her two Nobel prizes, her marriage and complex emotional life, her creation of medical services at the Front during the First World War, her foundation of the Radium Institute as a world scientific center, and her legacy including her daughter Irene, another Nobel-winning scientist. The exhibit is augmented by 90 striking illustrations and English translations of articles by Marie Curie, plus supplementary pages explaining the science of radioactivity in simple language. The entire exhibit has been checked and corrected by leading historians of science, with the cooperation of the French Association Curie et Joliot-Curie and the Museum and Archives of the Radium Institute, Paris. 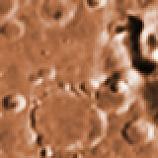 European Forum for "Marie Curie Fellowship Association"
to Mars on the 2001 lander. 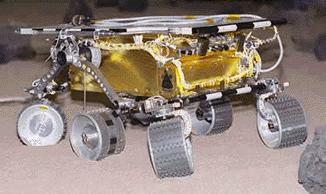 This rover is very similar to the Pathfinder Sojourner Rover, 1997. 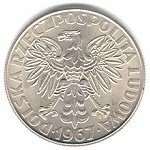 Zb.Zwolinski, (Ed.). 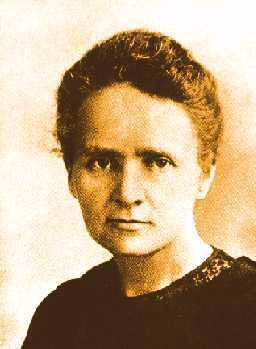 Maria Sklodowska-Curie, 1867-1934. 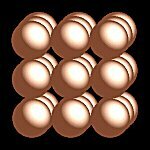 <http://main.amu.edu.pl/~zbzw/ph/sci/msc.htm>.